Australian Vintners, Calabria Family Wines are proud to celebrate the release of the new vintage, Calabria The Iconic Reserve Barossa Valley Shiraz 2014. This vintage marks the 100th vintage of this exceptional old vine vineyard, classifying the vines as ‘Barossa Centenarian’; equal or greater than 100 years of age. 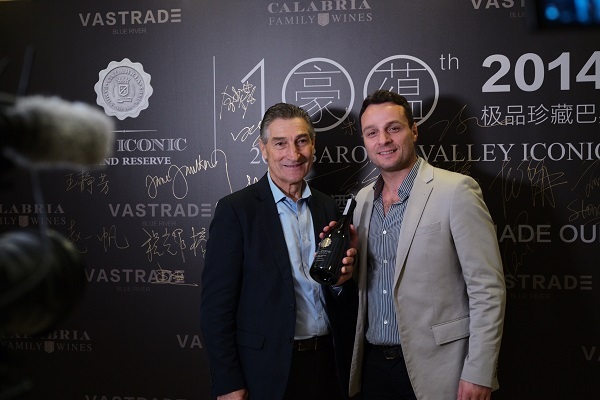 Wine writers, sommeliers and media gathered today at Shanghai’s prestigious Fairmont Peace Hotel for the 2014 vintage release of Calabria’s The Iconic Barossa Valley Shiraz. 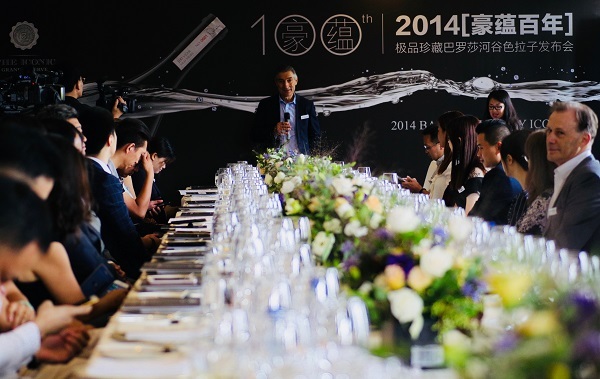 To promote the launch of the wine, the Calabria Family held the event in China. “China is a significant market for Australian wines,” says Andrew Calabria, Sales & Marketing Manager of Calabria Family Wines. 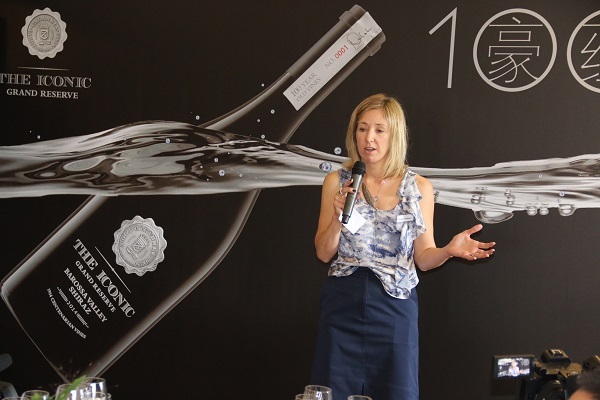 “We chose to hold the event in China to solidify the importance of the Australian wine industry in the growing Chinese market”. The grapes for Calabria’s 100 Year Old Vines Shiraz come from the family’s ‘William’ vineyard located in Barossa Valley’s Nuriootpa. The Barossa Centenarian Vines were carefully hand-harvested by owner Bill Calabria that were originally planted by the Hahn family in 1914. “These precious vines have truly withstood the test of time and are a living symbol of traditional values.” Commented Bill Calabria, owner and 2nd Generation of the Calabria Family. “Our Calabria The Iconic Shiraz, is symbolic to our family but also the Barossa land. Australia is home to some of the oldest vines in the world and this vineyard plays a vital role in the world history of viticulture and I am just fortunate enough to be able to nurture this vineyard site.” says Bill. 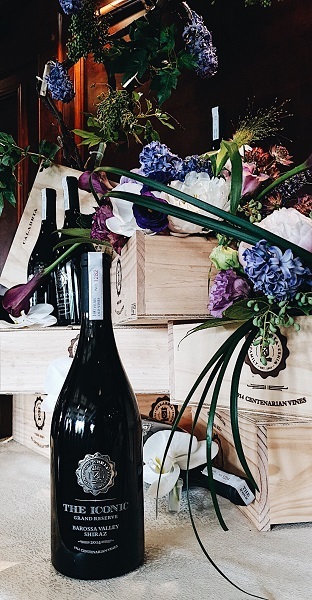 “The 2014 vintage release represents the hard work of all those that have toiled this land before us, resulting in a culmination of 100 years agriculture, art and science in every glass. Aromas of black licorice and blood plum weave through subtle layers of spicy oak. Powerful and concentrated yet pure and divine – true to its Barossa heritage. Crafted with longevity in mind, The Iconic can be cellared for ten to twenty years.” says Emma. This wine from centenarian vines truly brings to life the idea that beauty can develop more with age. Today the Calabria family are proud vineyard owners of three sites across the Barossa Valley and reinforce their commitment to the region by announcing they will open a cellar door in the region in early 2019. Need Warehouse Storage in Melbourne?